The Educationist GUARANTEE IMPROVEMENT BY YOUR NEXT PHYSICS TEST / EXAM!! 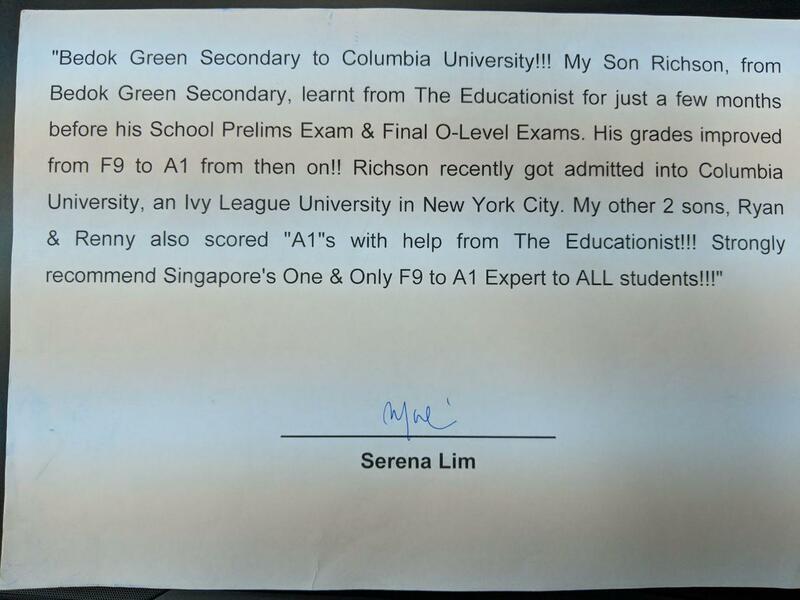 "My Son, Sean Chow, scored F9 for his Sec 3 Mid-Year Exams. Thank God we found you after his Mid-Year Exams. Through your impeccable coaching, encouragement and motivation, Sean Chow passed End-of-Year Exams with flying colours. Sean has also been allowed a transfer to a better Sec 4 class"
"Thank you for helping my son, Regent Neo, top his class in Secondary MATHS and SCIENCE! 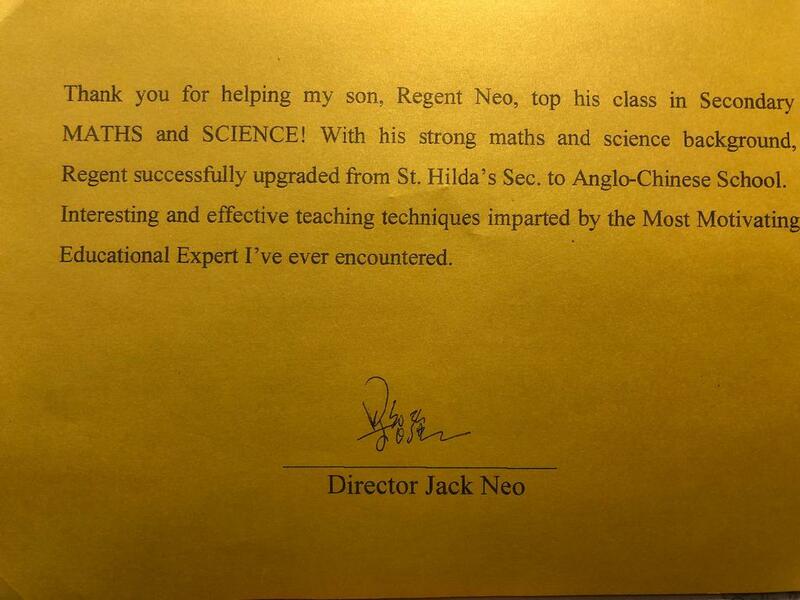 With his strong maths and science background, Regent successfully upgraded from St. Hilda's Sec to Anglo-Chinese School. Interesting and effective teaching technique imparted by the Most Motivating Educational Expert I've ever encountered." 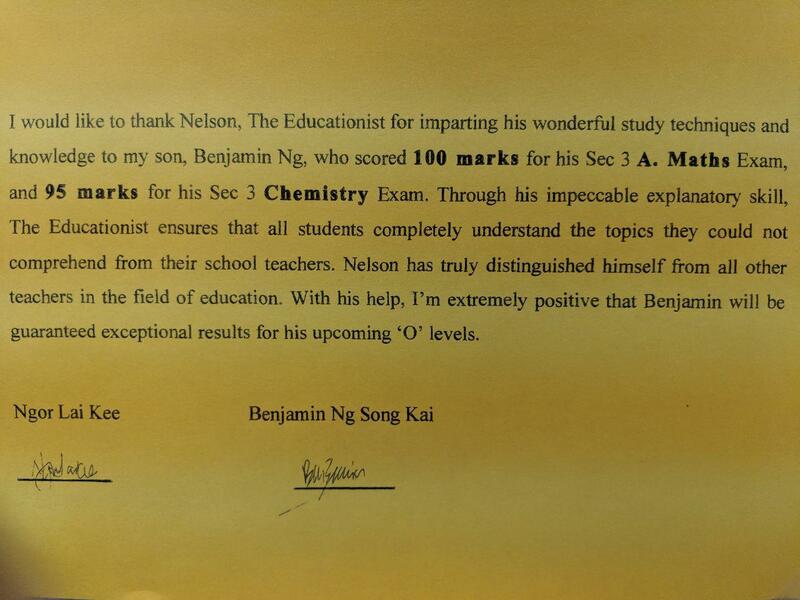 "I would like to thank The Educationist for imparting his wonderful study techniques and knowledge to my son, Benjamin Ng Song Kai, who scored 100 marks for his ACS(I) Sec 3 Final Year A. Maths Exam, and 95 marks for his Sec 3 Final Year Chemistry Exam. The Educationist has truly distinguished himself from all other teachers in the field of education." 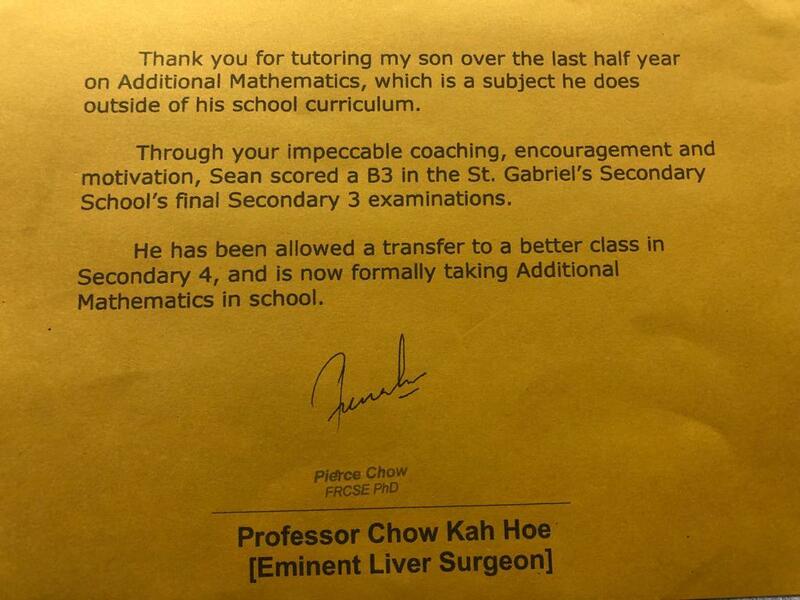 "I would like to thank The Educationist for helping my son, Kian Wai, with your patience, encouragement, academic expertise and interesting teaching techniques. His good grades within only three months, are only possible with your help and guidance. My sincere thanks again!" "Bedok Green Secondary to Columbia University!!! 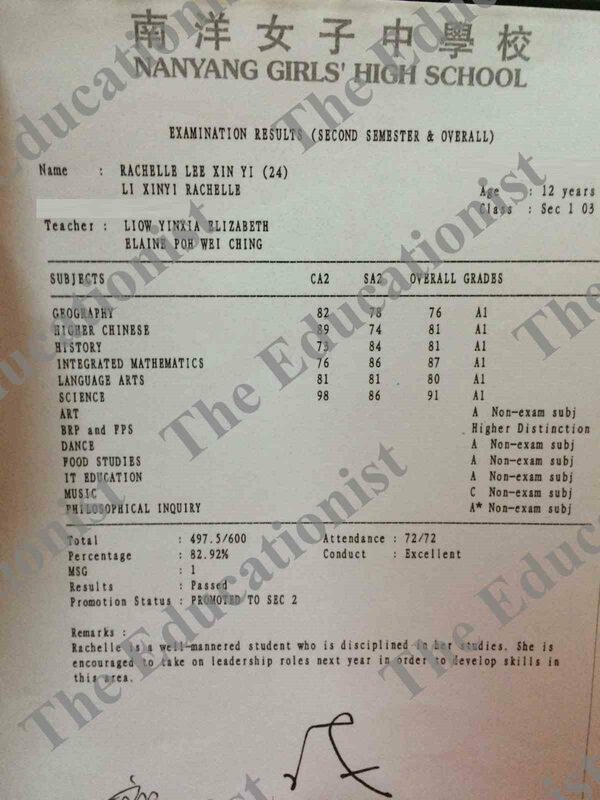 My Son Richson, from Bedok Green Secondary, learnt from The Educationist for just a few months before his School Prelims Exam & Final O-Level Exams. His grades improved from F9 to A1 from then on!! Richson recently got admitted into Columbia University, an Ivy League University in New York City. My other 2 sons, Ryan & Renny also scored "A1"s with help from The Educationist!!! Strongly recommend Singapore's One & Only F9 to A1 Expert to ALL students!!!" Electromagnetism, DC & AC Electric Circuits, Dynamics, Kinematics, Pressure,… Do they sound familiar? Or do they sound scary? Fear no more as The Educationist is here to help explain every Physics concept the fun and easy way. We have helped many students overcome their mental blocks in the understanding of confusing Physics concepts and sharpen their skills in the application of Physics concepts to complicated real-time exam questions. All students are personally taught by The Educationist, who has the highest relevant qualifications in teaching Physics among tuition providers, since he completed a Master Degree in Engineering with scholarships. The Educationist invites all students to attend Free Trial Lessons to witness his transformational teaching ability, which has helped many students achieve improvements in their latest Physics exams! Ace your O-Level, IP, IB & IGCSE examinations with our student-centric Physics enrichment program aimed at providing individualized learning techniques to cater to every student’s individual needs. >Looking for help in O-Level Physics Tuition, IP Physics Tuition, IGCSE Physics Tuition, IB Physics Tuition & A-Level Physics Tuition? Not satisfied with your outgoing O-Level Physics Tutor, IP Physics Tutor, IGCSE Physics Tutor, IB Physics Tutor & A-Level Physics Tutor? Fret not, as The Educationist, the Most Qualified Guru in O-Level Physics Tuition, IP Physics Tuition, IGCSE Physics Tuition, IB Physics Tuition & A-Level Physics Tuition, is here to bring about a transformational learning process in O-Level Physics, IP Physics, IGCSE Physics, IB Physics & A-Level Physics for students. The Educationist guarantees an improvement in his students’ O-Level Physics, IP Physics, IGCSE Physics, IB Physics & A-Level Physics grades by the next Physics test or Physics exam. >The Educationist has been producing F9 to A1 results in O-Level Physics, IP Physics, IGCSE Physics, IB Physics & A-Level Physics from 2004 to 2017. F9 to A1 in O-Level Physics, IP Physics, IGCSE Physics, IB Physics & A-Level Physics Exams is an easy feat with his unique methodology in passing on Physics concepts during his Physics tuition lessons. >To parents & students, you may be thinking Physics is merely an exam subject in school, and that it would just be sufficient to pass Physics, then move on after graduation. This is a misconception because Physics today sees a growing importance. >In an increasingly technological world, skills that students acquire in the Physics subject have wide applications. This means a need to do well in Physics, through Physics Tuition with The Educationist, of course. 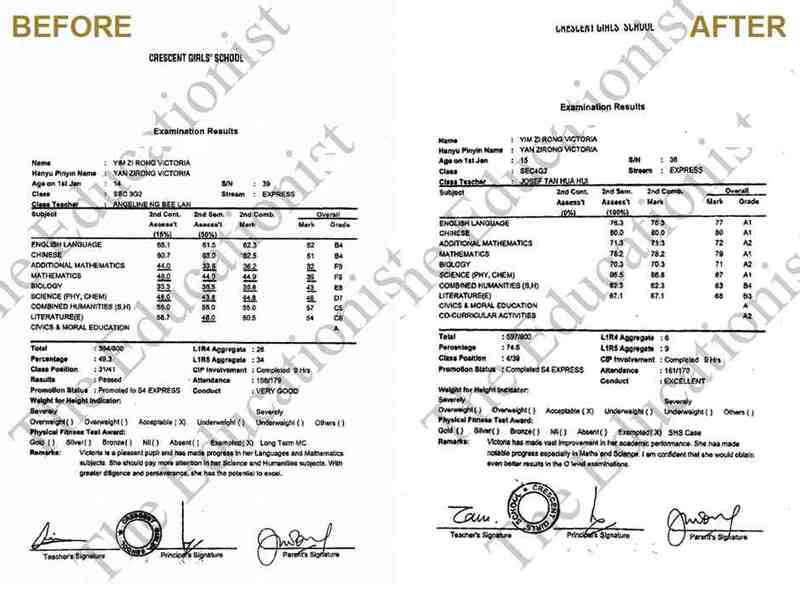 In Singapore, only The Educationist can help a student improve from L1R5 42 to L1R5 13 within less than 2 months in Chemistry, Physics, A.Maths & E.Maths O-Level Exams. So if you are a current student preparing for O-Level Physics, IP Physics, IGCSE Physics, IB Physics & A-Level Physics Exams at the end of this year, it is natural to understand who you should be taking Physics lessons with? >Besides, as a matter of fact, laying strong foundations in O-Level Physics is essential to achieving an excellent Physics grade in A-Level Physics. Essentially, students must be suitably prepared to take on Physics not just in O-Level, but also in A-Level, and even levels beyond that. Furthermore, the inability to perform in O-Level Physics may deprive students of the chance to study A-Level H2 Physics. In short, there is no better time than now to build a strong foundation in O-Level Physics, IP Physics, IGCSE Physics, IB Physics & A-Level Physics. >Now, the Educationist understands that the fact that you are looking for help for O-Level Physics Tuition, IP Physics Tuition, IGCSE Physics Tuition, IB Physics Tuition & A-Level Physics Tuition, means that you are worried about your grades and your future. This is already the first step to succeeding in Physics. By recognising your inadequacy, it means that you are ready to learn more about Physics in an interesting and simple manner from the Educationist himself. >There is one thing we want to assure you. That is, it doesn’t matter if you are a student who is barely passing Physics or even failing Physics. In fact, most of our students scored F9 in Pure Physics and Combined Physics when they seek help at The Educationist. The Educationist has 13 years experience in teaching O-Level Physics, IP Physics, IGCSE Physics, IB Physics & A-Level Physics and his teaching methodology has been proven to help students score A1s in Pure Physics and Combined Physics subjects, achieving that elusive A1 in O-Level Physics, IP Physics, IGCSE Physics, IB Physics & A-Level Physics Exams. >With the Educationist, doing well in Physics becomes no secret. Students from neighbourhood schools to top schools in Singapore have approached us for help in Physics every year for the past 13 years. The Educationist has formulated a special set of exam-oriented Physics materials and notes to help his students achieve F9 to A1 in Physics. He is recognised as Singapore’s No. 1 in teaching Physics and his Physics lesson is the most effective among Physics Tuition Teachers and as a matter-of-fact, anyone who teaches O-Level Pure Physics & O-Level Combined Physics in Singapore. These special Physics lessons can be found nowhere in Singapore except at The Educationist. 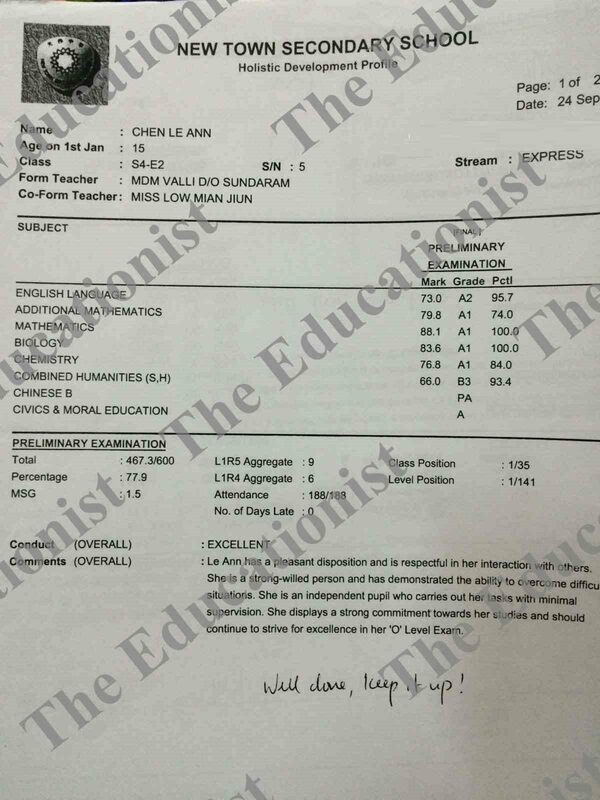 Still not convinced why the Educationist is the TOP Physics Tutor in Singapore? Physics School Teachers, Physics Professors and Doctors, whose Physics Results were excellent while they were in school, send their children to The Educationist every year for the past 13 years. >The Educationist is fully aware of the difficulties students face in Physics. The only reason why students are weak in O-Level Physics, IP Physics, IGCSE Physics, IB Physics & A-Level Physics, is because they are either taught the content but unable to apply and integrate these skills, or they are not taught at all. Physics School Teachers are always rushing through the Pure Physics and Combined Physics in O-Level Physics, IP Physics, IGCSE Physics, IB Physics & A-Level Physics syllabus and do not stop for each and every student who does not fully comprehend the O-Level Physics, IP Physics, IGCSE Physics, IB Physics & A-Level Physics content. However, we must understand Physics School Teachers need to meet datelines in curriculum requirements. Students end up not understanding the important Physics concepts and this gradually builds up to content gaps in their knowledge for O-Level Physics, IP Physics, IGCSE Physics, IB Physics & A-Level Physics. Furthermore, school Physics teachers are professional when it comes to setting O-Level Physics, IP Physics, IGCSE Physics, IB Physics & A-Level Physics prelim exam questions, but they are not equally proficient in imparting Physics knowledge to students and lacking the innate ability to help students integrate Physics concepts towards answering questions during the O-Level Pure Physics, O-Level Combined Chemistry-Physics, O-Level Combined Chemistry-Biology, IP Physics, IGCSE Physics, IB Physics & A-Level Physics Exams. >The difference between a top performing Physics student and an average student in Physics lies in his or her ability to understand all the different Physics concepts in the O-Level Pure Physics syllabus, O-Level Combined Chemistry-Physics syllabus, O-Level Physics-Biology syllabus, IP Physics syllabus, IGCSE Physics syllabus, IB Physics syllabus & A-Level Physics syllabus. Understanding the entire O-Level Pure Physics syllabus and Combined Physics syllabus is only halfway to scoring distinctions in O-Level Physics Exams. Students need to be taught skills in order to be able to apply Physics concepts on tricky O-Level Pure Physics and Combined Physics questions. >Every year, O-Level Physics students and IP Physics students seek help from The Educationist. So how does The Educationist help students who are weak in Physics? How does The Educationist address the problems these Physics students face in the subject of Physics? How does The Educationist help both Pure Physics and Combined Physics students understand profound Physics concepts and integrate these Physics concepts into application during O-Level Pure Physics Exams, O-Level Combined Physics Exams, IP Physics Exams, IGCSE Physics Exams, IB Physics Exams & A-Level Physics Exams? 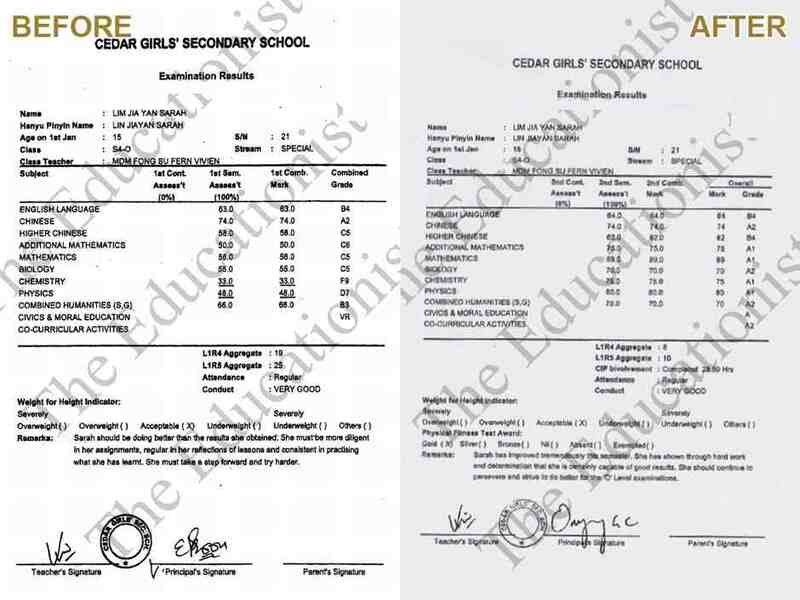 How can The Educationist bring back the confidence clearly lacking in students who failed both Pure Physics, Combined Chemistry-Physics, Combined Chemistry-Biology, IP Physics, IGCSE Physics, IB Physics & A-Level Physics Tests and Exams repeatedly? >With the Most Comprehensive & Specially Formulated Physics Materials designed over 13 years to help both O-Level Physics and IP Physics students, we have created the rare opportunity for O-Level Physics and IP Physics students to attempt from the widest spectrum of Pure Physics and Combined Physics questions spanning 13 years. >Our unique system of giving students the chance to attempt Physics questions of varying levels help them to monitor their progress in Physics. Here, they not only build on their foundations in the Physics topic, but also they gain confidence in answering both Pure Physics and Combined Physics questions. This gradual learning approach towards Physics gives them confidence and makes them feel more well-equipped at answering even tougher Physics questions during O-Level Physics, IP Physics, IGCSE Physics, IB Physics & A-Level Physics Exams. >Having the most comprehensive set of lecture notes and materials collected over 13 years is definitely good for both Pure Physics and Combined Physics students. But that alone is not enough. A special set of strategies is provided to give students a better and clearer understanding of Physics concepts. Useful & Proprietary Physics strategies provided help students memorise key Physics concepts and this will help almost any Physics student score an extra 10 marks immediately in their Pure Physics & Combined Physics tests or exams. Not surprisingly, these are the same extremely effective strategies that The Educationist has been using since 2004 to produce F9 to A1 results in O-Level Pure Physics, O-Level Combined Chemistry-Physics, O-Level Combined Chemistry-Biology Exams, IP Physics Exams, IGCSE Physics Exams , IB Physics Exams & A-Level Physics Exams. >Only Work with the Best. The same applies for learning Physics. As the best O-Level Physics tutor in Singapore, the Educationist is certainly also the most qualified Physics tutor you can find. The Educationist is both a Master of Engineering Graduate and a Multiple Scholarship Recipient. Physics Knowledge acquired during Postgraduate Studies and Immense Passion in Physics is also a reason why so many O-Level Physics and IP Physics students improve from F9 to A1. The Educationist consistently strive to develop top quality teaching materials for Physics and enhance them so that students will find that these materials are particularly relevant towards preparing them for their O-Level Physics or IP Physics tests or exams. Our objective is to give students the best quality O-Level Physics Tuition & IP Physics Tuition to ensure that they only receive the best results that they deserve in O-Level Physics, IP Physics, IGCSE Physics, IB Physics & A-Level Physics Exams. >Without a doubt, the tuition industry in Singapore has been growing for the past decade. There are a number of different Physics Tuition Centres and private Physics Tutors offering Physics Tuition to help students in Physics. However, our consistent review to ensure our Physics Tuition Methodologies remain the Best in Class has allowed us to consistently produce F9 to A1 grades in O-Level Physics, IP Physics, IGCSE Physics, IB Physics & A-Level Physics Exams. Despite the growing competition, the Educationist prides himself as Singapore’s undisputed Best Physics tutor nonetheless. >In a similar vein, Singapore’s education is becoming increasingly competitive today. However, this is no issue for The Educationist, who is driven and motivated to provide the most competitive teaching of Physics to his students. This ensures that his students also remain competitive in the Physics subject, through his concise Physics summaries as well as dynamic range of compiled Physics questions. >The Educationist certainly knows what the Cambridge Exam Board expects in O-Level Physics, IP Physics, IGCSE Physics, IB Physics & A-Level Physics Exams. He does not just stop at providing distinctive Physics materials and questions. He also goes on to impart to his students the skill set in answering Pure Physics and Combined Physics questions and teach them how to apply these Pure Physics and Combined Physics concepts. He also does a thorough job to make sure that his students are very ready for their next Physics test and Physics exam. With his awareness in what Physics examiners expect from students despite changes in the O-Level Physics, IP Physics, IGCSE Physics, IB Physics & A-Level Physics syllabus, his Physics questions are always relevant and many even appear in the O-Level Physics, IP Physics, IGCSE Physics, IB Physics & A-Level Physics exam papers. This gives students an idea of where they stand, and more importantly, allows the Educationist to reinforce Physics concepts to the student. >The Educationist prides himself as Singapore Top Physics Tutor and provides top quality O-Level Physics, IP Physics, IGCSE Physics, IB Physics & A-Level Physics Tuition in Singapore. He has built positive relationships with his Physics students and testimonials have shown how students and parents benefitted from his Physics lessons. He is also a great motivator who not only teaches Physics well, but also is able to make studying O-Level Physics, IP Physics, IGCSE Physics, IB Physics & A-Level Physics much more interesting and fun. His specially-designed Physics lessons and Physics lecture notes will guarantee an improvement in Physics grade by the next Physics test or Physics exam. Don’t worry about not understanding Physics concepts ever again from your Physics school teacher or previous Physics Tuition Teacher. Don’t be daunted by difficult Physics questions ever again. Time and Tide Waits for No Man when it comes to learning Physics from The Educationist! > Looking for Physics Tuition in Bishan by a Good Physics Tuition Teacher? Looking for Physics Tuition in Bukit Timah by a Good Physics Tuition Teacher? The Educationist is a Good Physics Tuition Teacher, who even dares say he is the best Physics tutor in Singapore. He offers O-Level Physics Tuition and also Science Tuition for IP students. His O-Level and IP tuition centre is strategically located so that he can provide Physics Tuition in Bishan and Physics Tuition in Bukit Timah, where it is easily accessible to many students. > Not sure where to find a Good Physics Tuition Teacher for your IP child? The Educationist has 13 years of experience, dating back to when IP started in 2004. His experience guarantees the best Science Tuition for IP students. Come down to his IP tuition centre for a FREE TRIAL for Science Tuition for IP students. Wait no more, as his IP tuition centre is recognised as the best Physics Tuition in Bishan and the best Physics Tuition in Bukit Timah. 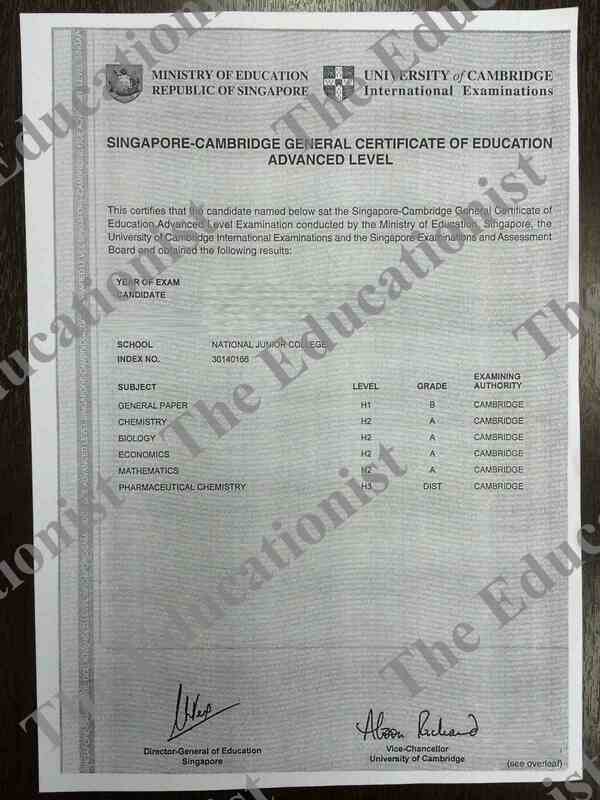 In fact, The Educationist is recognized as Singapore No. 1 Good Physics Tuition Teacher by parents, producing F9 to A1 results yearly. > Running a IP tuition centre that is merged with O-Level Physics Tuition as well is no easy feat, but The Educationist knows the respective syllabus at his fingertips. He ensures that Science Tuition for IP students follows closely to that of their syllabus. He ensures, too, that O-Level Physics Tuition follows the examinable syllabus. This is what makes The Educationist a Good Physics Tuition Teacher, offering top quality O-Level Physics Tuition and Science Tuition for IP students; the top choice Physics Tuition in Bishan and Physics Tuition in Bukit Timah. > Science Tuition for IP students may not be all that easy to find. This is because IP syllabus varies from school to school and there is no one-size- fits-all rule. Over the past 13 years, The Educationist has proved himself to be dynamic to ensure that his unique Science Tuition for IP students is kept up to date. With a IP tuition centre centrally located, it makes him one of the Good Physics Tuition Teacher for Science Tuition for IP students. So if you are contemplating Science Tuition for IP students, FREE TRIAL LESSONS are available at The Educationist IP Tuition centre, best Physics Tuition in Bishan and Physics Tuition in Bukit Timah. > The notes in The Educationist IP tuition centre is also well-summarised and concised, making it easy for students to grasp key concepts and memorise important key points. This is why Science Tuition for IP students with The Educationist is top-notch, making his IP tuition centre the best Physics Tuition in Bishan, the best Physics Tuition in Bukit Timah, and even the best in Singapore. > The Educationist also offers O-Level Physics Tuition. As a Good Physics Tuition Teacher, The Educationist has unique and remarkable ways of helping students tackle their problem at O-Level Physics. His O-Level Physics Tuition has transformed results of students who have been failing Physics into distinctions in Physics. This is owed to his simple and interesting explanation that is one-of- a-kind, only available in his O-Level Physics Tuition. Such a unique teaching methodology can only be found at his O Level and IP tuition centre and is only available at his Physics Tuition in Bishan and Physics Tuition in Bukit Timah, nowhere else in Singapore! Furthermore, with his Physics Tuition in Bishan and Physics Tuition in Bukit Timah, where it is within the vicinity of many schools, it is certainly the most attractive place to learn. > In conducting his O-Level Physics Tuition, he also points out to students what the Cambridge examiners look out for. In addition to this, he also teaches students the proper way to phrase and answer directly to the question, which is the main problem that majority of the students face. In this vein, The Educationist proved himself to be a Good Physics Tuition Teacher who is able to address the root cause of students not scoring well. By the first test after joining The Educationist O-Level Physics Tuition, or Science Tuition for IP students, students are sure to see an improvement just solely by learning the right technique to answer questions. > A Good Physics Tuition Teacher is rare. It is no doubt that many school teachers in Singapore, or tuition teachers in Singapore have the concept and vast knowledge. But the difference between The Educationist and these teachers is his professional ability and expertise in imparting this vast knowledge to students in the simplest way possible. This is why The Educationist O-Level and IP tuition centre is the most effective place to learn Science at. And if you are still not convinced why, come down to FREE TRIAL lessons with The Educationist for IP or O-Level Physics Tuition in Bishan or Physics Tuition in Bukit Timah. You will be assured to fall in love with the short and sweet explanation. > Time waits for no one, especially if your children or you are taking O Level or IP exams this year. If you are looking for a O-Level and IP Tuition centre, or Physics Tuition in Bishan or Physics Tuition in Bukit Timah, hurry down to FREE TRIAL lessons. And remember, our tuition centre is located centrally so even if you are living a distance away, fret not! The Educationist assures you that it will be worth the trip. > Ever thought about whether you child need a tutor, regardless it is an A level Physics Tutor Singapore or IP Physics Tutor Singapore? Well, here are some reasons you might want consider having one. Let’s focus on having an IP Physics Tutor Singapore. > Having an IP Physics Tutor Singapore can help to establish an early foundation. When students struggle learning these early skills, it is best to tackle it early with the help of an IP Physics Tutor Singapore, else they will have issues when they grasp challenging concepts as they grow up. Having a strong foundation with the help of an IP Physics Tutor allows students to be more affirm when they are given new concepts that add ons to what they know, making them more likely to score well. > Another reason for having an IP Physics Tutor Singapore is that it builds self confidence and critical thinking. When students starts to have an IP Physics Tutor Singapore to guide them early, they will ask more questions in class and think critically. This is because they are not afraid to ask their IP Physics Tutor when they have doubt and these traits get passed on as they grow up, boosting their self confidence. Also, if your IP Physics Tutor and parents often give praise when the student will score well, it can boost their morale as they are being affirmed for the results they produced. > Having an IP Physics Tutor Singapore gives your child chance to struggle. Often, tests and examinations in schools are included in their final grade at the end of the year. If a student makes a mistake for one of the test, it will affect his final grade as a whole. However, with the help from an IP Physics Tutor Singapore, the IP Physics Tutor can provide similar set of tests that are in line with what is learned in class and allow room for failure with the guide of an IP Physics Tutor, in which a school setting is unable to provide. > Lastly, having an IP Physics Tutor Singapore can help to ease the workload for the parents. Eichanstein believes that the most stressful part of child-parent relationship is homework! "By the time it's homework time, most parents are pooped. Parents are not the ideal homework monitor, particularly given how much work children have," she says. As such, IP Physics Tutor Singapore can help to be the solution to this problem. IP Physics Tutor will be able to take the pressure off and allows parents to improve family's quality of life without dwindling on questions for a long period of time in which an IP Physics Tutor can provide in a few minutes. > To conclude, IP Physics Tutor Singapore can benefit from having someone paying attention to them to support their learning and guide them to discover their own learning styles. Every kid is a rock star, even if they have areas where they feel challenged. A good IP Physics Tutor Singapore can help them to unlock the door to self-confidence, provide room for learning and ease workload for parents so that the child can spend more quality time with family. So where to look for IP Physics Tutor Singapore? Visit The Educationist or contact to find out where you can get a good IP Physics Tutor Singapore. > Ever thought about whether you child need a tutor, regardless it is an A level Physics Tuition Singapore or IP Physics Tuition Singapore? Well, here are some reasons you might want consider having one. Let’s focus on having an IP Physics Tuition Singapore. > Having an IP Physics Tuition Singapore can help to establish an early foundation. When students struggle learning these early skills, it is best to tackle it early with the help of an IP Physics Tuition, else they will have issues when they grasp challenging concepts as they grow up. Having a strong foundation with the help of an IP Physics Tuition allows students to be more affirm when they are given new concepts that add ons to what they know, making them more likely to score well. > Another reason for having an IP Physics Tuition Singapore is that it builds self confidence and critical thinking. When students starts to have an IP Physics Tuition Singapore to guide them early, they will ask more questions in class and think critically. This is because they are not afraid to ask their IP Physics Tuition when they have doubt and these traits get passed on as they grow up, boosting their self confidence. Also, if your IP Physics Tuition and parents often give praise when the student will score well, it can boost their morale as they are being affirmed for the results they produced. > Having an IP Physics Tuition Singapore gives your child chance to struggle. Often, tests and examinations in schools are included in their final grade at the end of the year. If a student makes a mistake for one of the test, it will affect his final grade as a whole. However, with the help from an IP Physics Tuition Singapore, the IP Physics Tuition can provide similar set of tests that are in line with what is learned in class and allow room for failure with the guide of an IP Physics Tuition, in which a school setting is unable to provide. > Lastly, having an IP Physics Tuition Singapore can help to ease the workload for the parents. Eichanstein believes that the most stressful part of child-parent relationship is homework! "By the time it's homework time, most parents are pooped. Parents are not the ideal homework monitor, particularly given how much work children have," she says. As such, IP Physics Tuition can help to be the solution to this problem. IP Physics Tuition will be able to take the pressure off and allows parents to improve family's quality of life without dwindling on questions for a long period of time in which an IP Physics Tuition can provide in a few minutes. > To conclude, IP Physics Tuition Singapore can benefit from having someone paying attention to them to support their learning and guide them to discover their own learning styles. Every kid is a rock star, even if they have areas where they feel challenged. A good IP Physics Tuition Singapore can help them to unlock the door to self-confidence, provide room for learning and ease workload for parents so that the child can spend more quality time with family. So where to look for IP Physics Tuition Singapore? Visit The Educationist or contact to find out where you can get a good IP Physics Tuition Singapore. > Ever thought about whether you child need a tutor, regardless it is an A level Physics Tutor Singapore or O Level Physics Tutor Singapore? Well, here are some reasons you might want consider having one. Let’s focus on having an O Level Physics Tutor Singapore. > Having an O Level Physics Tutor Singapore can help to establish an early foundation. When students struggle learning these early skills, it is best to tackle it early with the help of an O Level Physics Tutor, else they will have issues when they grasp challenging concepts as they grow up. Having a strong foundation with the help of an O Level Physics Tutor allows students to be more affirm when they are given new concepts that add ons to what they know, making them more likely to score well. > Another reason for having an O Level Physics Tutor Singapore is that it builds self confidence and critical thinking. When students starts to have an O Level Physics Tutor Singapore to guide them early, they will ask more questions in class and think critically. This is because they are not afraid to ask their O Level Physics Tutor when they have doubt and these traits get passed on as they grow up, boosting their self confidence. Also, if your O Level Physics Tutor and parents often give praise when the student will score well, it can boost their morale as they are being affirmed for the results they produced. > Having an O Level Physics Tutor Singapore gives your child chance to struggle. Often, tests and examinations in schools are included in their final grade at the end of the year. If a student makes a mistake for one of the test, it will affect his final grade as a whole. However, with the help from an O Level Physics Tutor Singapore, the O Level Physics Tutor can provide similar set of tests that are in line with what is learned in class and allow room for failure with the guide of an O Level Physics Tutor, in which a school setting is unable to provide. > Lastly, having an O Level Physics Tutor Singapore can help to ease the workload for the parents. Eichanstein believes that the most stressful part of child-parent relationship is homework! "By the time it's homework time, most parents are pooped. Parents are not the ideal homework monitor, particularly given how much work children have," she says. As such, O Level Physics Tutor can help to be the solution to this problem. O Level Physics Tutor will be able to take the pressure off and allows parents to improve family's quality of life without dwindling on questions for a long period of time in which an O Level Physics Tutor can provide in a few minutes. > To conclude, O Level Physics Tutor Singapore can benefit from having someone paying attention to them to support their learning and guide them to discover their own learning styles. Every kid is a rock star, even if they have areas where they feel challenged. A good O Level Physics Tutor Singapore can help them to unlock the door to self-confidence, provide room for learning and ease workload for parents so that the child can spend more quality time with family. So where to look for O Level Physics Tutor Singapore? Visit The Educationist or contact to find out where you can get a good O Level Physics Tutor Singapore. > Ever thought about whether you child need a tutor, regardless it is an A level Physics Tuition Singapore or O Level Physics Tuition Singapore? Well, here are some reasons you might want consider having one. Let’s focus on having an O Level Physics Tuition Singapore. > Having an O Level Physics Tuition Singapore can help to establish an early foundation. When students struggle learning these early skills, it is best to tackle it early with the help of an O Level Physics Tuition, else they will have issues when they grasp challenging concepts as they grow up. Having a strong foundation with the help of an O Level Physics Tuition Singapore allows students to be more affirm when they are given new concepts that add ons to what they know, making them more likely to score well. > Another reason for having an O Level Physics Tuition is that it builds self confidence and critical thinking. When students starts to have an O Level Physics Tuition Singapore to guide them early, they will ask more questions in class and think critically. This is because they are not afraid to ask their O Level Physics Tuition Singapore when they have doubt and these traits get passed on as they grow up, boosting their self confidence. Also, if your O Level Physics Tuition and parents often give praise when the student will score well, it can boost their morale as they are being affirmed for the results they produced. > Having an O Level Physics Tuition gives your child chance to struggle. Often, tests and examinations in schools are included in their final grade at the end of the year. If a student makes a mistake for one of the test, it will affect his final grade as a whole. However, with the help from an O Level Physics Tuition, the O Level Physics Tuition can provide similar set of tests that are in line with what is learned in class and allow room for failure with the guide of an O Level Physics Tuition, in which a school setting is unable to provide. > Lastly, having an O Level Physics Tuition Singapore can help to ease the workload for the parents. Eichanstein believes that the most stressful part of child-parent relationship is homework! "By the time it's homework time, most parents are pooped. Parents are not the ideal homework monitor, particularly given how much work children have," she says. As such, O Level Physics Tuition Singapore can help to be the solution to this problem. O Level Physics Tuition will be able to take the pressure off and allows parents to improve family's quality of life without dwindling on questions for a long period of time in which an O Level Physics Tuition can provide in a few minutes. > To conclude, O Level Physics Tuition Singapore can benefit from having someone paying attention to them to support their learning and guide them to discover their own learning styles. Every kid is a rock star, even if they have areas where they feel challenged. A good O Level Physics Tuition Singapore can help them to unlock the door to self-confidence, provide room for learning and ease workload for parents so that the child can spend more quality time with family. So where to look for O Level Physics Tuition Singapore? Visit The Educationist or contact to find out where you can get a good O Level Physics Tuition Singapore. > Ever thought about whether you child need a tutor, regardless it is an A level Physics Tutor in Singapore or Physics Tutor in Singapore? Well, here are some reasons you might want consider having one. Let’s focus on having an Physics Tutor in Singapore. > Having an Physics Tutor in Singapore can help to establish an early foundation. When students struggle learning these early skills, it is best to tackle it early with the help of an Physics Tutor, else they will have issues when they grasp challenging concepts as they grow up. Having a strong foundation with the help of an Physics Tutor allows students to be more affirm when they are given new concepts that add ons to what they know, making them more likely to score well. > Another reason for having an Physics Tutor in Singapore is that it builds self confidence and critical thinking. When students starts to have an Physics Tutor in Singapore to guide them early, they will ask more questions in class and think critically. This is because they are not afraid to ask their Physics Tutor when they have doubt and these traits get passed on as they grow up, boosting their self confidence. Also, if your Physics Tutor and parents often give praise when the student will score well, it can boost their morale as they are being affirmed for the results they produced. > Having an Physics Tutor in Singapore gives your child chance to struggle. Often, tests and examinations in schools are included in their final grade at the end of the year. If a student makes a mistake for one of the test, it will affect his final grade as a whole. However, with the help from an Physics Tutor in Singapore, the Physics Tutor can provide similar set of tests that are in line with what is learned in class and allow room for failure with the guide of an Physics Tutor, in which a school setting is unable to provide. > Lastly, having an Physics Tutor in Singapore can help to ease the workload for the parents. Eichanstein believes that the most stressful part of child-parent relationship is homework! "By the time it's homework time, most parents are pooped. Parents are not the ideal homework monitor, particularly given how much work children have," she says. As such, Physics Tutor can help to be the solution to this problem. Physics Tutor will be able to take the pressure off and allows parents to improve family's quality of life without dwindling on questions for a long period of time in which an Physics Tutor can provide in a few minutes. > To conclude, Physics Tutor in Singapore can benefit from having someone paying attention to them to support their learning and guide them to discover their own learning styles. Every kid is a rock star, even if they have areas where they feel challenged. A good Physics Tutor in Singapore can help them to unlock the door to self-confidence, provide room for learning and ease workload for parents so that the child can spend more quality time with family. So where to look for Physics Tutor in Singapore? Visit The Educationist or contact to find out where you can get a good Physics Tutor in Singapore. > Ever thought about whether you child need a tutor, regardless it is an A level Physics Tuition Singapore or Physics Tuition Singapore? Well, here are some reasons you might want consider having one. Let’s focus on having an Physics Tuition Singapore. > Having an Physics Tuition Singapore can help to establish an early foundation. When students struggle learning these early skills, it is best to tackle it early with the help of an Physics Tuition, else they will have issues when they grasp challenging concepts as they grow up. Having a strong foundation with the help of an Physics Tuition allows students to be more affirm when they are given new concepts that add ons to what they know, making them more likely to score well. > Another reason for having an Physics Tuition Singapore is that it builds self confidence and critical thinking. When students starts to have an Physics Tuition Singapore to guide them early, they will ask more questions in class and think critically. This is because they are not afraid to ask their Physics Tuition when they have doubt and these traits get passed on as they grow up, boosting their self confidence. Also, if your Physics Tuition and parents often give praise when the student will score well, it can boost their morale as they are being affirmed for the results they produced. > Having an Physics Tuition Singapore gives your child chance to struggle. Often, tests and examinations in schools are included in their final grade at the end of the year. If a student makes a mistake for one of the test, it will affect his final grade as a whole. However, with the help from an Physics Tuition Singapore, the Physics Tuition can provide similar set of tests that are in line with what is learned in class and allow room for failure with the guide of an Physics Tuition, in which a school setting is unable to provide. > Lastly, having an Physics Tuition Singapore can help to ease the workload for the parents. Eichanstein believes that the most stressful part of child-parent relationship is homework! "By the time it's homework time, most parents are pooped. Parents are not the ideal homework monitor, particularly given how much work children have," she says. As such, Physics Tuition Singapore can help to be the solution to this problem. Physics Tuition will be able to take the pressure off and allows parents to improve family's quality of life without dwindling on questions for a long period of time in which an Physics Tuition can provide in a few minutes. > To conclude, Physics Tuition Singapore can benefit from having someone paying attention to them to support their learning and guide them to discover their own learning styles. Every kid is a rock star, even if they have areas where they feel challenged. A good Physics Tuition Singapore can help them to unlock the door to self-confidence, provide room for learning and ease workload for parents so that the child can spend more quality time with family. So where to look for Physics Tuition? Visit The Educationist or contact to find out where you can get a good Physics Tuition. >O Level Physics Tutor is becoming widespread over Singapore island. There is almost an O Level Physics Tutor at your neighborhood. And unsurprisingly, you would pick your neighbourhood O Level Physics Tutor for your child because of convenience. But have you ever wondered what you have lost because of convenience? Recent years saw the rise of difficulty in O Level Examination questions. Schools are setting tougher questions for students and when they fail, they go to an O Level Physics Tutor. This means that O Level Physics Tutor has its demand and it is easy to fall prey to any random O Level Physics Tutor which may be unable to produce results. Tuition, after all, is a business. And business comes with hard ways to convince people, regardless of the truths and false. Be wary of how an O Level Physics Tutor advertises itself. Commonly, O Level Physics Tutor or O Level Physics Tutor promotes its centre by location. They speak of great location and accessibility to attract students to their O Level Physics Tutor or Physics tuition for sec 3. Just take a step back and think about this: should location really be the selling point of any O Level Physics tuition or O Level Physics Tutor? If an O Level Physics Tutor promotes itself with its accessibility, it probably means that there is nothing good for its centre to further share. Location shouldn’t even be a key selling point. There are factors to an O Level Physics Tutor that is more important than location, for sure. If an O Level Physics Tutor brags about its great accessibility, then there’s probably nothing to look beyond it. In essence, a good O Level Physics Tutor does not need to speak of its location, because the other factors for it being a good O Level Physics Tutor easily offset the location factor. What should you look for in a O Level Physics Tutor? What should you look for in an O Level Physics Tutor? When it comes to tuition, be it physics tuition for sec 3 or O Level Physics Tutor, you really cannot afford wasting your child’s time and of course, your money. Time and tide waits for no one, especially when it comes to grades. 2 years for O Level in Sec 3 and Sec 4 flies by quickly. Therefore, anytime spent at Physics Tuition for Sec 3 or anytime spent at O Level Physics Tutor is very important. You want to make sure that the time spent at O Level Physics Tutor is worth it. You want to make sure that the money spent for O Level Physics Tutor is worth it. And location should not be one thing you are paying for. Your child’s time and your money is worth an O Level Physics Tutor teacher who is able to transfer knowledge in an efficient and interesting manner. Being efficient means that the O Level Physics Tutor is able to offer a simpler way of explaining to the students. Being interesting means that the O Level Physics is able to offer an explanation that students find funny and relatable and hence would have a better understanding of it. If a O Level Physics Tutor explains concepts exactly like school teachers, then it defeats the purpose of O Level Physics Tutor. If an O Level Physics Tutor explains concepts as dull as textbooks, then students might as well continue reading the textbooks. Then, there is no need to pay for O Level Physics Tutor. There is no need to waste time on O Level Physics Tutor. Even if the location is perfect, why even bother travelling to a O Level Physics Tutor just to listen to the same thing? Why even bother travelling to an O Level Physics Tutor just to read a textbook? Next, resources at O Level Physics Tutor is very important. This is even more important for O Level Physics Tutor. These days, exam questions are tougher and more variable. Teachers and examiners can come up with very creative questions to trick the students, even though the concepts are just right in their heads and in their textbooks. Now, this point goes towards the O Level Physics Tutor preparing students sufficiently for exam. This goes towards O Level Physics Tutor teaching students to be exam-ready and exam-smart. And this is a critical skill to score well in exam. You may have the whole textbook content at your fingertips, memorised and able to regurgitate, but if you do not know how to answer questions appropriately, all these content are naught. O Level Physics Tutor therefore prepares students early at Sec 3 with a wide variety of Physics questions that tickle their brains, so that they would gradually get adapted to answering exam questions and tackling out-of-the-box questions. With experience, comes wisdom; this is what a good O Level Physics Tutor leverage on, and train students to become distinction students. O Level Physics Tutor also must be able to train students to give the correct and essential key words to answer a question. O Level Physics Tutor has to expose students to a diverse range of questions so that they would be well ready for the ultimate exam. And most certainly, O Level Physics Tutor or O Level Physics Tutor should not be telling students that their location is the best place to learn because the best place to learn has nothing to do with location. Last but not least, to really know if an O Level Physics Tutor is powerful and effective, the tuition must offer FREE TRIAL lessons. Sure, many niche area neighbourhood Physics Tuition for Sec 3 or O Level Physics Tutor offer free trial lessons to students. Students naturally are attracted by its accessibility and would think “Why not? Its free, lets go down to the FREE TRIAL for O Level Physics Tutor or O Level Physics Tutor.” They eventually find that it is very convenient and they can seek “help” there, so they end up signing up for a O Level Physics Tutor or O Level Physics Tutor. But what do students know of effective teaching? Had they known anything, they would have solved their problems at school and would not require O Level Physics Tutor or O Level Physics Tutor in the first place. Students are not mature enough to know what a good Physics Tuition for Sec 3 is. Students taking O Level may be desperate in times of crisis to just find an O Level Physics Tutor as safeguard. But they don’t really know if it would turn out effective. Who are the best judges? Parents. And sure enough, many such neighbourhood Physics Tuition for Sec 3 or O Level Physics Tutor do not allow parents to sit in for FREE TRIAL lessons. Why should they? It’s the children who is taking the tuition, not the parents. Well, a good Physics Tuition for Sec 3 or O Level Physics Tutor will be confident enough to welcome parents to sit in for FREE TRIAL lessons. The O Level Physics Tutor will understand that parents are the best judge of whether the service is good. The O Level Physics Tutor will prove to parents that starting early is good. So where in Singapore do you find such a O Level Physics Tutor or O Level Physics Tutor? HERE! At The Educationist. 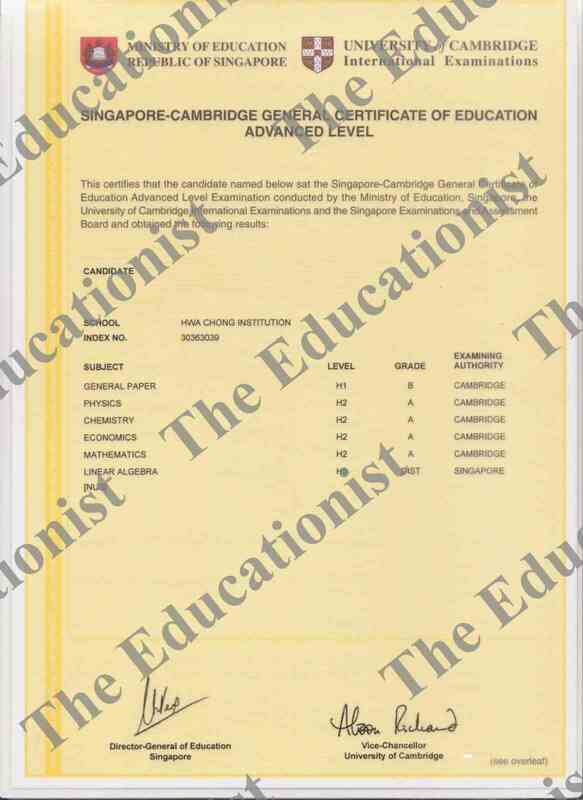 You probably have not heard of The Educationist because location was never a selling point for his Physics Tuition for Sec 3 or O Level Physics Tutor. Neither does he need this selling point, because his established 14 years of record has proved himself to be the best O Level Physics Tutor and O Level Physics Tutor. Simply come down now, with your whole family, for FREE TRIAL LESSONS for Physics Tuition for Sec 3 or O Level Physics Tutor today! >It is nearing the end of the year. Students taking O Level Physics Tuition classes from us will soon be taking their O Level Physics Exams. We are confident that these students have benefitted from our O Level Physics Tuition and be ready to face their final showdown. 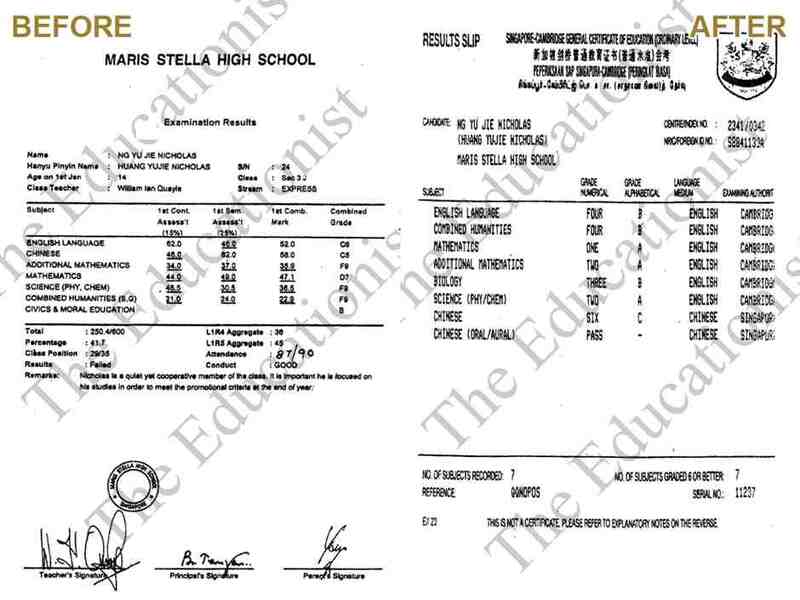 Meanwhile, Sec 3 students who are taking O Level Physics Tuition with the O Level Physics Tuitionr in Singapore have also finished their exams and have seen improvements in their grades. We are happy for these Sec 3 students taking the O Level Physics Tuition. O Level Physics Tuition will certainly produce results if you find the O Level Physics Tuition. O Level Physics Tuition can change your child’s grade by a few jumps easily in just one term. But this can only occur with the O Level Physics Tuition who can complement your child no matter his calibre, no matter his learning capability and no matter his personality. O Level Physics Tuition only assures the best QUALITY O Level Physics Tuition for all his students. Now you may think that it is already November and it is time for the O Level Physics Tuition students for a break. It is also time for O Level Physics Tuition to take a break. This is what you typically expect of a typical O Level Physics Tuition. But I assure you that this is not the case for O Level Physics Tuition. O Level Physics Tuition does not take a break. He is aware that while the holidays is time for most students to enjoy by going overseas for a holiday, he is even more aware that the holidays is time for the students lagging behind to catch up on their work. This is why O Level Physics Tuition ensures that his O Level Physics Tuition centre is opened during the holidays. This time is crucial for all O Level Physics Tuition students to catch up on what they fall behind. Through his 15 years of experience, he has seen through many batch of students graduating from O Level Physics Tuition and moved on well in later years of education. Of course, this is attributed to O Level Physics Tuition producing the required results for them to enter their dream school. But it is important not to forget that the O Level Physics Tuitionhas formed a strong foundation in their learning capability through O Level Physics Tuition. O Level Physics Tuition interesting learning style has intrigued students to want to learn more about higher levels of Physics, even when they are in O Level Physics Tuition. Such O Level Physics Tuition is a rare find. A O Level Physics Tuition who can articulate fine knowledge in the simplest way possible is a even rarer find. If you are seeking a O Level Physics Tuition who can teach your child and transform his grade, no matter your child’s learning calibre, look no more because you have already found the O Level Physics Tuition. This O Level Physics Tuition is none other than The Educationist, who has taught O Level Physics Tuition for 14 years. He has seen F9 to A1 transformation year by year; he has even seen students who were rejected by other tuition centres because these O Level Physics Tuition centres are not confident about their ability to bring the grades of these students up. But O Level Physics Tuition is confident and certain about his talent. These rejected, helpless students sought help for O Level Physics Tuition with The Educationist and eventually scored A in their O Level Physics exam. They are ever thankful that they have found the O Level Physics Tuition, who believed in them from the 1st day. This belief stems from The Educationist professionalism in teaching O Level Physics Tuition. The O Level Physics Tuition is stationed near Bugis MRT, at a very accessible area to all parents and students. This makes such a quality O Level Physics Tuition of easy access. Simply come down to the O Level Physics Tuitionoffice and interact with him to find out more. You can see for yourself his capability and talent in simplifying concepts and transferring them in a way never seen before. Only at The Educationist O Level Physics Tuition. Come down now for FREE TRIAL LESSONS by O Level Physics Tuition! Wait no further; secure your slot at our O Level Physics Tuition today! When we mention Bukit Timah, we think about the top schools in Singapore. Hwa Chong Institution, Nanyang Girls High and National Junior College come to mind. It is common to find o level chemistry tuition around Singapore in areas where schools are. Hence, there are quite some O Level Physics Tuition. Also, these schools have different education systems for secondary school students, different from the typical O Level. They follow the Integrated Programme (IP). IP Chemistry is not easy and may be a challenge for most IP students, so parents send these IP students for O Level Physics Tuition in Singapore. This is even more common in the O Level Physics Tuition setting. Being in such a top school isn’t something to take for granted. They are the envy of many parents and children, but this doesn’t exclude them from the need of O Level Physics Tuition. There are many O Level Physics Tuition in Singapore. The issue lies in which O Level Physics Tuition is the best for students in these top schools. If we consider distance as a factor because it is just too inconvenient for these students with tight schedule to travel far, then O Level Physics Tuition is ideal. Located just in the vicinity of their schools, O Level Physics Tuition is a good option for these students. Not all O Level Physics Tuition Singapore is cut out for O Level Physics Tuition after all. As mentioned, the syllabus may differ and this difference may be a lot. In IP schools, the schools decide what the students learn and it is really up to the discretion of the school. The O Level Physics Tuition Singapore therefore needs to really have experience and be adaptable to changes. O Level Physics Tuition clearly isn’t something that many O Level Physics Tuition in Singapore can offer. Of course, having your child in a top school isn’t all that easy as well. The school doesn’t define your child. Ultimately, it is about getting good grades. Then again, O Level Physics is not easy. For a secondary school student, it may be difficult to understand some concepts. There is a need for O Level Physics Tuition in Singapore to help to clarify these concepts and pull up your child’s grades. There is a need to find the most appropriate O Level Physics Tuition in Bukit Timah so that you will not waste your child’s and your precious time and money. Many O Level Physics Tuition in Singapore therefore try to exploit the opportunities at Bukit Timah and set up O Level Physics Tuition. However, not all O Level Physics Tuition are capable of tackling the challenges faced by O Level Physics. Parents may end up sending their children for a Physics tuition for Sec 3 in Singapore that is not effective. But fret not, where top schools exist, top O Level Physics Tuition Singapore also exists. The Educationist is the Best O Level Physics Tuition. Established in 2004, he has 14 years of experience to date in teaching O Level Physics Tuition in Singapore. He has experience in all forms of secondary physics tuition Singapore, be it IP, IB or O Level. This is important in showing that he is dynamic in his teaching and is able to cater to any student’s learning needs. This is what makes him successful as the Best O Level O Level Physics Tuition. Most of the O Level Physics Tuition in Singapore do not allow parents to sit in for trial lessons. But The Educationist is different. He allows parents and in fact strongly encourages parents to sit in for his FREE TRIAL LESSON for O Level Physics Tuition Singapore. He is so confident that he wants parents to sit in the trial so that parents can validate that he is indeed Best O Level Physics Tuition Wait no more in searching for O Level Physics Tuition. The Educationist exudes such confidence that any parents will feel reassured in sending their child to his top notch O Level Physics Tuition in Singapore. There are so many O Level Physics Tutor in Singapore, but how do you identify a good O Level Physics Tutor? Good O Level Physics Tutor is one with Good O Level Physics Tuition Teacher who knows the Physics syllabus at his fingertips. A Good Physics Tuition for Sec 3 is clear about what the examiners look for and this is what makes him able to give Good O Level Physics Tutor which stands out from others. For unknowing parents and students, one may not know how to identify a Good O Level Physics Tutor. They can only chance upon a Good O Level Physics Tutor, and often times, this so called Good O Level Physics Tutor may not be able to guarantee success. But fret not, because The Educationist himself is a Good O Level Physics Tutor Tutor Singapore who is in the line of O Level Physics Tutor for years. With 14 years of experience, The Educationist upholds his standard as a Good Physics Tuition for Sec 3 Tutor, and even the Best O Level Physics Tutor in Singapore. As a Good O Level Physics Tutor, he gives student a clear guide on what questions to expect in their tests and exams. This is what a good O Level Physics Tutor would know. A Good O Level Physics Tutor Singapore not only has vast knowledge in Physics subject, but also he is able to share with his students how to analyse questions. On top of question analysis, a Good O Level Physics Tutor Singapore stands out in being able to integrate concepts across different topics, and this is increasingly important as the examiners expect higher standards in recent years. A Good O Level Physics Tutor is therefore dynamic. Being able to predict questions trend and able to provide accurate solutions to that is characteristic of a Good O Level Physics Tutor Tutor in Singapore. A Good Physics Tuition for Sec 3 Tutor Singapore does not only know, but he imparts knowledge. Among so many good O Level Physics Tutor in Singapore, The Educationist assures that he is crème of the crop among O Level Physics Tutor. Knowing and having expertise in the subject is one thing that is definite of all Good O Level Physics Tutor Singapore, but what makes a Good O Level Physics Tutor Singapore outshine the others is his ability to impart knowledge. The transfer of knowledge is no easy feat. Textbooks are difficult to understand, especially from a perspective of a student. A Good O Level Physics Tutor does not follow textbook-based explanations and examples. Rather, a Good O Level Physics Tutor Singapore exercises creativity and originality in his approach towards teaching students. A Good O Level Physics Tutor adopts real-life examples and in the simplest way possible, explains a key idea in Physics to a student. This is typical of The Educationist Good O Level Physics Tutor Singapore. With his immense experience in teaching Physics over 12 years, he truly upholds the standard of a Good O Level Physics Tutor. His methodology never fails to disappoint student, much less fail to help student understand, and this is certainly one-of-a-kind among all Good O Level Physics Tutor. A Good O Level Physics Tutor Singapore is certainly rare to find. Some Good O Level Physics Tutor in Singapore only has knowledge, while some other Good Physics Tuition for Sec 3 in Singapore has the language, but a truly good O Level Physics Tutor in Singapore possesses vast knowledge and is able to spread them in the most communicable language ever. You may still be wondering where to find a Good O Level Physics Tutor, but this question would no longer be a doubt. The Educationist is one such Good O Level Physics Tutor in Singapore and you will sure be pleased after coming for his FREE TRIAL lesson. COME NOW FOR FREE O LEVEL PHYSICS TUTOR TRIAL LESSONS! Which O Level Physics Tutor has the Most Reliable O Level Physics Tutor? Many O Level Physics Tutor open branches all over Singapore in the residential neighbourhood areas. The O Level Physics Tutor working at these neighbourhood O Level Physics Tutor Centres are not qualified in terms of academic qualifications and teaching abilities. O Level Physics Tutor offers convenience at the expense of effective O Level Physics Tutor. Ever wonder why ministers, surgeons and school teachers send their O level Physics boys and girls to The Educationist the past 14 years? Since The Educationist started O Level Physics Tutor in 2004, he has received lots of feedback from his O Level Physics students. Before these O Level Physics students found The Educationist, they signed up for O Level Physics Tuition in neighbourhood tuition centres for convenience. In the end, they end up with F9, E8 & D7 in their O Level Physics tests. Luckily, these same students switched O Level Physics Tutor and managed to find The Educationist, who helped O Level Physics students transform F9s to A1s over the past 14 years. Maybe think of it this way. If O Level Physics Tutor are really effective, why do parents all over Singapore keep sending their kids to The Educationist the past 14 years? Actually, these parents tried out all available options in their neighbourhood areas. But sadly, these parents were disappointed with the O Level Physics Tutor teaching at the O Level Physics Tutor Centres in their neighbourhoods. They were equally disappointed with the lack of professionalism and ability in O Level Physics home O Level Physics Tutor. So if O Level Physics students need to source for The Best O Level O Level Physics Tutor providing O Level Physics Tutor, do call 81888009 to arrange Free Trial Lessons with The Educationist! There are many O Level Physics Tutor; Many O-Level Physics students join these tuition centres mainly out of convenience. Did these O Level Physics students make the right decisions with these neighbourhood Physics tuition centres? Did these students make the right decision with O Level Physics Tutor? Well, if these O Level Physics students did find effective O Level Physics Tutor, then The Educationist would not have heard of how so many O Level O Level Physics Tutor at neighbourhood Physics Tuition Centres taught wrong concepts to these O Level Physics students. Singapore offers mainly the O LEVEL, IP & IB routes to University. Physics, being a main science subject required to attain admission into the most coveted NUS Medical Faculty, plays a super important role in O Level, IP & IB Results! Students turn to O Level Physics Tutor once they realise they could not understand and apply Physics concepts taught by O Level Physics Teachers. The immediate focus will be convenience, that is O Level Physics Tutor Centres O Level Home O Level Physics Tutor. Did these O Level Physics students focus on the right thing? Many O Level Physics students who attended Free Trial Lessons @ The Educationist regretted they chose convenient O Level O Level Physics Tutor who offered mostly ineffective O Level Physics Tutor, causing them to lose even more confidence in O Level Physics! The Educationist possesses a postgraduate Master in Engineering degree. This is a huge advantage over existing O Level Physics Tutor who possess either irrelevant degrees or basic bachelor's degree. In-depth Knowledge of mentor makes a significant difference in O Level Physics Tutor. Without which, O Level Physics students will never be able to achieve 100% complete understanding in the O Level Physics content. Many ordinary O Level Physics Tutor do not understand the subject content and resort to guessing answers without giving in-depth explanation on the concepts involved. Many O Level Physics students were shocked their previous O Level Physics Tutor taught them the wrong answers and concepts, after their O Level Physics school teacher go through their O Level Physics exam papers with them. The Educationist possesses the highest level of O Level Physics knowledge among existing O Level Physics Tutor! The Educationist is so confident ALL O Level Physics students will improve within 3 months from an F9 grade, as he has devised a full-proof system over 14 years of giving O Level Physics Tutor! Imagine the consequences when O Level Physics Tutor without relevant degrees waste valuable time and money, teaching O Level Physics students incomplete & inaccurate concepts! The Educationist offers the highest standards in O Level Physics Tutor in Singapore. No O Level Physics Tutor can challenge The Educationist in terms of Physics knowledge & explanation! There are just so many tuition centres offering O Level Physics Tutor. How do O Level Physics students choose the best Physics Tuition? Just like choosing doctors and lawyers in times of need, it is never easy to find the most effective O Level Physics Tutor. Many doctors and teachers are also parents. They are more particular when choosing Physics Tuition in. They understand that O Level O Level Physics Tutor must have higher academic qualifications than school teachers and must also possess special innate ability to teach O Level Physics Tutor. But, is it common and easy to find effective O Level Physics Tutor? NO! Far from easy! Teaching O Level Physics Tutor require immense knowledge from postgraduate studies and natural innate teaching ability that cannot be trained and cultivated. These two attributes culminate in the establishment of the Best O Level Physics Tutor. 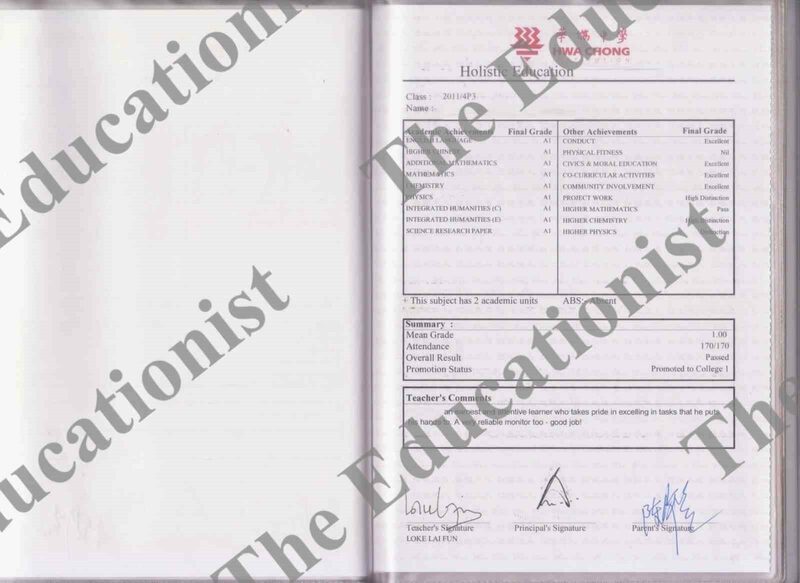 The Educationist was awarded 2 postgraduate scholarships and is undisputedly the most influential O Level Physics Tutor, providing absolutely flawless O Level Physics Tutor. If ever parents and students are looking for the most effective O Level Physics Tutor providing O Level Physics Tutor, then please call 81 888 009 NOW to reserve your FREE TRIAL LESSONS to witness hundreds of F9 to A1 Result Slips collected since 2004. To understand O Level Physics Tuition, we have to understand Singapore itself. Singapore grows by her service industry. As such students are expected to be trained in such skills to meet the growing demands. With her services focus on the STEM (Science, Tech, Engineering, Maths) subjects, good O Level Physics Tuition teachers and good IP Physics Tuition tutors have to help their student to hone their relevant skills - one of which is physics. Engineers are greatly in demand especially when one of Singapore's export being reliant on oil refining. As such, the focus on physics is inevitable and this is why you should consider O Level Physics Tuition or O Level Physics Tuition. It is important to start from young as it helps to build on the foundation for further studies. Starting with O Level Physics Tuition or O Level Physics Tuition would be the best as this is where a student starts specialising in their field of study. Every child is unique and schools do not have sufficient resources to cater for each child. With The Educationist, we guarantee that during their O Level Physics Tuition or O Level Physics Tuition, our good O Level Physics Tuition teachers can help to build on the lack of resources the school can't provide. Our good O Level Physics Tuition teacher will help students to provide a head start in concepts. It provides more time for weaker students to practice and understand. Also, O Level Physics Tuition or O Level Physics Tuition can expose stronger students to harder questions, especially with examinations focusing on application. O Level Physics Tuition can also help students to identify their weak and strong points to work on compared to schools. In schools, teachers could only do so much as to go through concepts or question collectively regardless whether the student would understand due to the tight framework. With O Level Physics Tuition or O Level Physics Tuition, our good O Level Physics Tuition teachers can clarify each student's understanding so they can keep up with the pace in class. Some may argue that O Level Physics Tuition or O Level Physics Tuition is not necessary, especially when teachers provide supplementary classes for students as well. However, being in the education system myself, supplementary tends to rush concepts they could not finish teaching. Indeed, some do provide extra lessons for the extra weaker students, but what about those students who are doing borderline? These students tend to get left out as they are usually well to do but they tend not to know how to excel. As such, this is where O Level Physics Tuition and O Level Physics Tuitioncome into play. With The Educationist, our O Level Physics Tuition and O Level Physics Tuition would guide every student regardless how they fare. We believe that O Level Physics Tuition and O Level Physics Tuitionis for everyone and no one should be left out to excel. As Alvin Toffler once said, "the illiterate of the 21st century will not be those who cannot read and write, but those who cannot learn, unlearn and relearn." Similarly, the way we guide the students can't be just by memorising and regurgitating anymore. It have to focus on understanding concepts and applying them. With The Educationist, our good O Level Physics Tuition teachers can provide the O Level Physics Tuition and O Level Physics Tuition will help equip students with the skills to understand or even help students to transit from their current memorization method. So what about the O Level Physics Tuition teachers? Are they good enough? They are students who have did well during their GCSE examinations in their respective field. Still not convinced? Come for our trial lessons to see it yourself. We believe that we have extremely good O Level Physics Tuition teacher. It is highly recommended for students to go for O Level Physics Tuition or O Level Physics Tuition and we, at The Educationist, can provide that. We can assure our good O Level Physics Tuition teachers will provide the help the student need for physics or even keep you in the loop of the student's progress. If you're interested, do contact 8188 8009 to engage us or visit http://www.theeducationist.sg for more information and we'll be there for you. To conclude, O Level Physics Tuition Singapore can benefit from having someone paying attention to them to support their learning and guide them to discover their own learning styles. Every kid is a rock star, even if they have areas where they feel challenged. A good O Level Physics Tuition Singapore can help them to unlock the door to self-confidence, provide room for learning and ease workload for parents so that the child can spend more quality time with family. So where to look for O Level Physics Tuition Singapore? Visit The Educationist or contact 8188 8009 to find out where you can get a good O Level Physics Tuition Teacher in Singapore. Looking for O Level Physics Tutor by a Physics Tutor Singapore? The Educationist is a O Level Physics Tutor, who even dares say he is the best Physics tutor Singapore. He offers O Level Physics Tutor. His tuition centre is strategically located so that he can provide Physics Tuition, where it is easily accessible to many students. Not sure where to find a O Level Physics Tutor for your child? The Educationist has 14 years of experience, dating back to 2004. His experience guarantees that he is the best O Level Physics Tutor for all students. 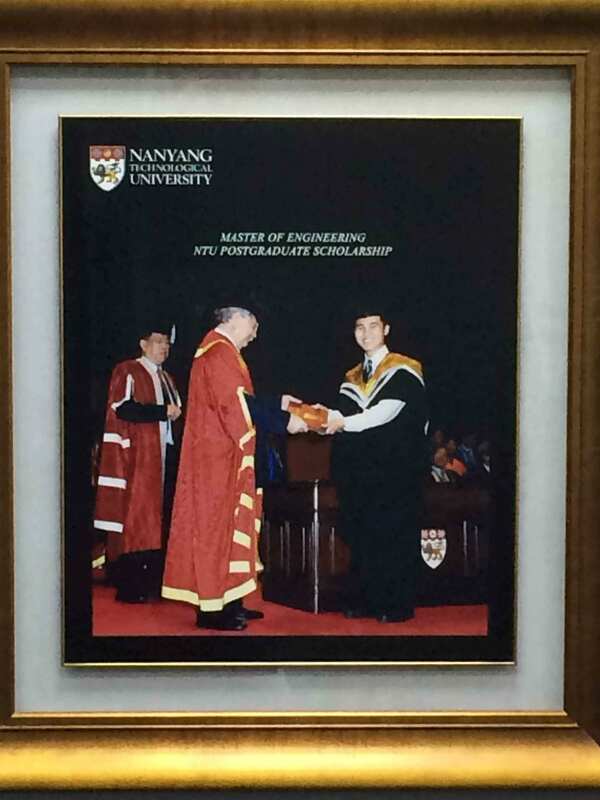 Wait no more, as his tuition centre is recognised as the best O Level Physics Tutor. 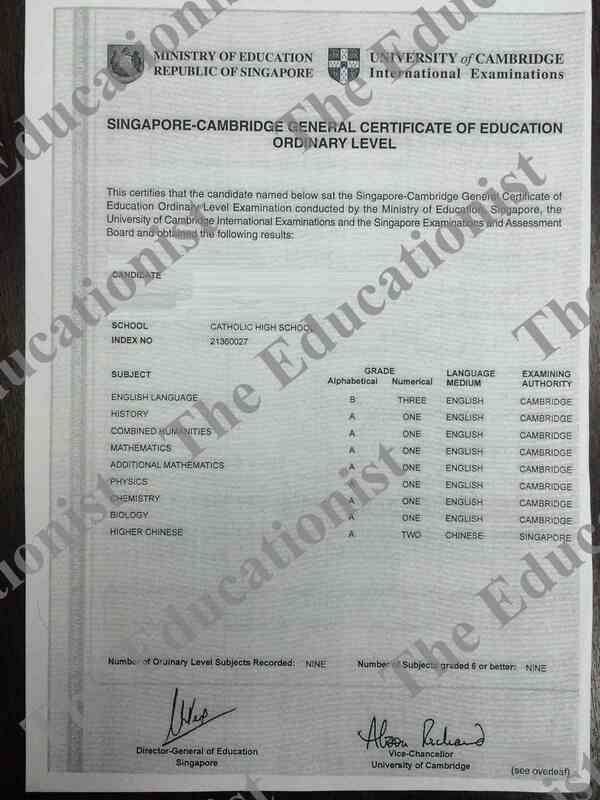 In fact, The Educationist is recognized as Singapore No. 1 O Level Physics Tutor by parents, producing F9 to A1 results yearly. Running IP tuition centre that is merged with O Level Physics Tuition as well is no easy feat, but The Educationist knows the respective syllabus at his fingertips. He ensures that O Level Physics Tutor follows closely to that of their syllabus. This is what makes The Educationist the O Level Physics Tutor, offering top quality Physics Tuition. Definitely the top choice for O Level Physics Tutor. Over the past 14 years, The Educationist has proved himself to be dynamic to ensure that his unique O Level Physics Tutor is kept up to date. This makes him one of the Good O Level Physics Tutor. So if you are contemplating O Level Physics Tutor, FREE TRIAL LESSONS are available at The Educationist Tuition centre, best Physics Tuition. The notes in The Educationist tuition centre is also well-summarised and concised, making it easy for students to grasp key concepts and memorise important key points. This is why O Level Physics Tutor with The Educationist is top-notch. This is why The Educationist has such confidence to pride himself as No. 1 O Level Physics Tutor. As a Good O Level Physics Tutor, The Educationist has unique and remarkable ways of helping students tackle their problem at O Level Physics. His O Level Physics Tutor has transformed results of students who have been failing Physics into distinctions in Physics. This is owed to his simple and interesting explanation that is one-of-a-kind, only available in his O Level Physics Tutor. Such a unique teaching methodology can only be found at his O Level Physics Tutor, nowhere else in Singapore! Furthermore, with his Physics Tuition, where it is within the vicinity of many schools, it is certainly the most attractive place to learn. In conducting himself as O Level Physics Tutor, he also points out to students what the Cambridge examiners look out for. In addition to this, he also teaches students the proper way to phrase and answer directly to the question, which is the main problem that majority of the students face. 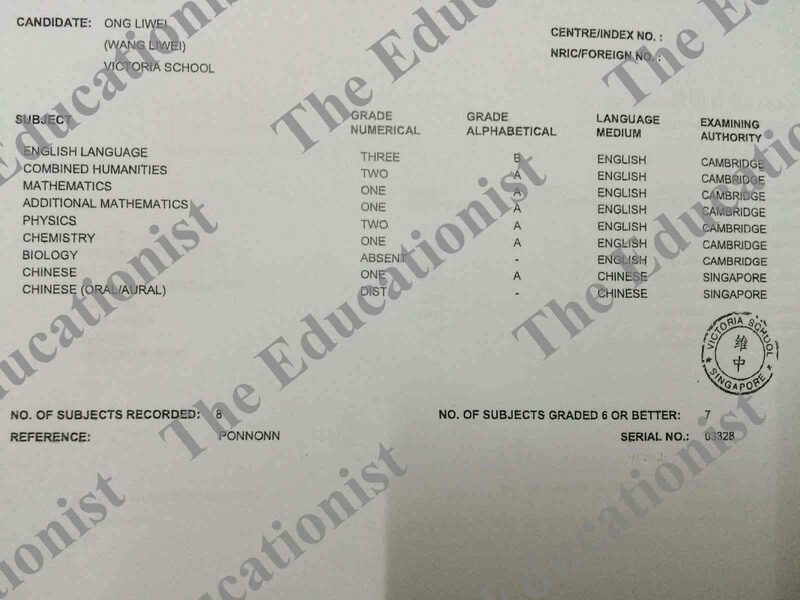 In this vein, The Educationist proved himself to be a Good O Level Physics Tutor who is able to address the root cause of students not scoring well. By the first test after joining The Educationist O Level Physics Tutor, students are sure to see an improvement just solely by learning the right technique to answer questions. A Good O Level Physics Tutor is rare. It is no doubt that many school teachers in Singapore, or O Level Physics Tutor have the concept and vast knowledge. But the difference between The Educationist and these teachers is his professional ability and expertise in imparting this vast knowledge to students in the simplest way possible. This is why The Educationist tuition centre is the most effective place to learn Science at. And if you are still not convinced why, come down to FREE TRIAL lessons with The Educationist for O Level Physics Tutor. You will be assured to fall in love with the short and sweet explanation. Time waits for no one, especially if your children or you are taking O Level or IP exams this year. If you are looking for a Tuition centre, or O Level Physics Tutor, hurry down to FREE TRIAL lessons. And remember, our tuition centre is located centrally so even if you are living a distance away, fret not! The Educationist assures you that it will be worth the trip. Now you may think that it is already November and it is time for the O Level Physics Tutor students for a break. It is also time for O Level Physics Tutor to take a break. This is what you typically expect of a typical O Level Physics Tutor. But I assure you that this is not the case for O Level Physics Tutor. O Level Physics Tutor does not take a break. He is aware that while the holidays is time for most students to enjoy by going overseas for a holiday, he is even more aware that the holidays is time for the students lagging behind to catch up on their work. This is why O Level Physics Tutor ensures that his O Level Physics Tutor centre is opened during the holidays. This time is crucial for O Level Physics Tutor students to catch up on what they fall behind. It is nearing the end of the year. Students taking O Level Physics Tutor classes from us will soon be taking their IP Chemistry Exams. We are confident that these students have benefitted from our O Level Physics Tutor and be ready to face their final showdown. Meanwhile, Sec 3 students who are taking O Level Physics Tutor with the O Level Physics Tutor in Singapore have also finished their exams and have seen improvements in their grades. We are happy for these Sec 3 students taking the O Level Physics Tutor. O Level Physics Tutor will certainly produce results if you find the O Level Physics Tutor. O Level Physics Tutor can change your child’s grade by a few jumps easily in just one term. But this can only occur with the O Level Physics Tutor who can complement your child no matter his calibre, no matter his learning capability and no matter his personality. O Level Physics Tutor only assures the best QUALITY O Level Physics Tutor for all his students. Through his 15 years of experience, he has seen through many batch of students graduating from O Level Physics Tutor and moved on well in later years of education. Of course, this is attributed to O Level Physics Tutor producing the required results for them to enter their dream school. But it is important not to forget that the O Level Physics Tutor has formed a strong foundation in their learning capability through O Level Physics Tutor. O Level Physics Tutor interesting learning style has intrigued students to want to learn more about higher levels of Chemistry, even when they are in O Level Physics Tutor. Such O Level Physics Tutor is a rare find. A O Level Physics Tutor who can articulate fine knowledge in the simplest way possible is a even rarer find. If you are seeking a O Level Physics Tutor who can teach your child and transform his grade, no matter your child’s learning calibre, look no more because you have already found the O Level Physics Tutor. This O Level Physics Tutor is none other than The Educationist, who has taught O Level Physics Tutor for 14 years. He has seen F9 to A1 transformation year by year; he has even seen students who were rejected by other tuition centres because these O Level Physics Tutor centres are not confident about their ability to bring the grades of these students up. But O Level Physics Tutor is confident and certain about his talent. These rejected, helpless students sought help for O Level Physics Tutor with The Educationist and eventually scored A in their IP Chemistry exam. They are ever thankful that they have found the O Level Physics Tutor, who believed in them from the 1st day. This belief stems from The Educationist professionalism in teaching O Level Physics Tutor. The O Level Physics Tutor is stationed near Bugis MRT, Orchard MRT, Newton MRT, at a very accessible area to all parents and students. This makes such a quality O Level Physics Tutor of easy access. Simply come down to the O Level Physics Tutor office and interact with him to find out more. You can see for yourself his capability and talent in simplifying concepts and transferring them in a way never seen before. Only at The Educationist O Level Physics Tutor. Come down now for FREE TRIAL LESSONS by O Level Physics Tutor! Wait no further; secure your slot at our O Level Physics Tutor today! There are so many O Level Physics Tuition, but how do you identify a good O Level Physics Tuition? Good O Level Physics Tuition is one with Good O Level Physics Tuition who knows the Physics syllabus at his fingertips. 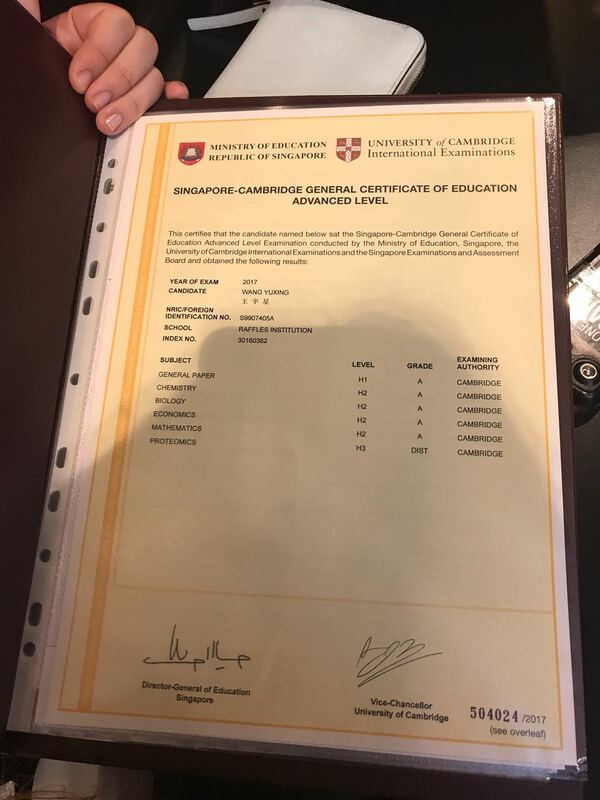 A Good O Level Physics Tuition is clear about what the examiners look for and this is what makes him able to give Good O Level Physics Tuition which stands out from others. For unknowing parents and students, one may not know how to identify a Good O Level Physics Tuition. They can only chance upon a Good O Level Physics Tuition, and often times, this so called Good O Level Physics Tuition may not be able to guarantee success. But fret not, because The Educationist himself is the Best Physics Tutor who is in the line of O Level Physics Tuition for years. With 14 years of experience, The Educationist upholds his standard as a Good O Level Physics Tuition or even the Best Best Physics Tutor. As a Good O Level Physics Tuition, he gives student a clear guide on what questions to expect in their tests and exams. This is what a good O Level Physics Tuition Teacher would know. A Good O Level Physics Tuition not only has vast knowledge in Physics subject, but also he is able to share with his students how to analyse questions. On top of question analysis, a Good O Level Physics Tuition stands out in being able to integrate concepts across different topics, and this is increasingly important as the examiners expect higher standards in recent years. A Good O Level Physics Tuition Teacher is therefore dynamic. Being able to predict questions trend and able to provide accurate solutions to that is characteristic of the Best Physics Tutor. A Good O Level Physics Tuition does not only know, but he imparts knowledge. Among so many good O Level Physics Tuition in Singapore, The Educationist assures that he is crème of the crop among the Best Physics Tutors. Knowing and having expertise in the subject is one thing that is definite of all Good O Level Physics Tuition, but what makes the Best Physics Tutor outshine the others is his ability to impart knowledge. The transfer of knowledge is no easy feat. Textbooks are difficult to understand, especially from a perspective of a student. A Good O Level Physics Tuition Teacher does not follow textbook-based explanations and examples. Rather, a Good O Level Physics Tuition exercises creativity and originality in his approach towards teaching students. A Good O Level Physics Tuition Teacher adopts real-life examples and in the simplest way possible, explains a key idea in Physics to a student. This is typical of The Educationist Good O Level Physics Tuition. With his immense experience in teaching Physics over 12 years, he truly upholds the standard of a Good O Level Physics Tuition Teacher. His methodology never fails to disappoint students, much less fail to help student understand, and this is certainly one-of-a-kind among all Good O Level Physics Tuition Teacher. A Good O Level Physics Tuition is certainly rare to find. Some Good Physics Tutors only have knowledge, while some others are Good O Level Physics Tuition has the language, but a truly Best Physics Tutor possesses vast knowledge and is able to spread them in the most communicable language ever. You may still be wondering where to find a Good O Level Physics Tuition Teacher, but this question would no longer be a doubt. The Educationist is one such Good O Level Physics Tuition and you will sure be pleased after coming for his FREE TRIAL lesson. COME NOW FOR FREE O LEVEL PHYSICS TUITION TRIAL LESSONS! Is your child in upper secondary? Does he or she feel that school work is difficult to follow? This is completely natural because of the steep learning curve when they progress from lower secondary to upper secondary. Inevitably, we see a rise in O Level Physics Tutor or O Level Physics Tutor among the upper secondary school students. Are you looking for O Level Physics Tutor? Or O Level Physics Tutor? If so, read on to find out more and I assure you your time would be worth. There would be parents that think that O Level is not important because it is a mere secondary school qualification and that there are still many choices for their child, given the numerous polytechnics and universities in Singapore. They then think that O Level Physics Tutor is not needed. Of course, this goes without saying that starting early with O Level Physics Tutor is redundant. True, this is logical. Given the wide range of choices, it is hard to believe that O Level Physics Tuition is important, much less O Level Physics Tutor. And so, parents also do not want to waste valuable time and money on O Level Physics Tutor or Physics Tuition for Sec 3. There would also be a group of parents who think that maybe O Level Physics Tutor is important, but perhaps closer to O Level would they consider O Level Physics Tutor. In this aspect, O Level Physics Tutor is seen as not needed until Sec 4, when O Level becomes more imminent. This is the standard mindset of anyone because only when things become imminent that things become important as well, right? I can completely relate to this, but I think it is equally important to raise the awareness on O Level Physics Tutor. It is difficult to see O Level Physics Tutor as important as O Level Physics Tutor. Fine. But let’s just take awhile to look at it this way. O Level Physics Tutor is commonly taken up by parents whose child is only months away from the exam. Well, some O Level Physics Tutor requires a longer time to achieve results. Some maybe a shorter time. Some perhaps never. And this is sad, because there is really only one chance to take O Level Physics Exam, and if O Level Physics Tutor fails to help, this is a pity. You don’t want wasted years retaking O Level Physics Exam because of an ineffective O Level Physics Tutor. Neither do you want to retake O Level Physics Exam because of an inefficient O Level Physics Tuition. You have to find the appropriate O Level Physics Tutor at the appropriate time. Sometimes, this appropriate time means that you have to find O Level Physics Tutor. It is good to start O Level Physics Tutor. Early as it sounds, O Level Physics Tutor is important to give ample time to build the necessary foundation in Physics that does not just last to O Level. It also extends to help with future advanced level Physics. 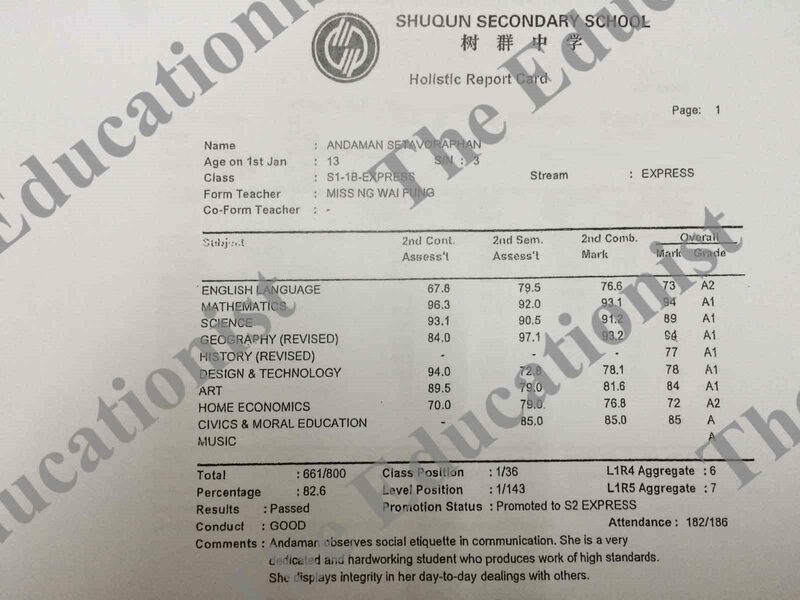 This is what a good O Level Physics Tutor or good O Level Physics Tutor can achieve for your child. We need to be far-sighted and see that O Level Physics Tutor is not just for tackling O Level. It is also important for O Level Physics Tutor to build a strong foundation. In this vein, we should not only think of starting O Level Physics Tuition when it is nearing O Level. We can already start O Level Physics Tutor earlier, at sec 3. This means that we should start O Level Physics Tutor. It is easy to lose sight of a greater cause for a smaller, more immediate cause. This is human nature. Most certainly, only thinking of O Level Physics Tutor when the time calls for it is perfectly natural. Very few parents would think of O Level Physics Tutor, especially if their child is not getting F9 grades at school. Do know that F9 grades should not be the only call for O Level Physics Tutor. Even if your child is scoring C or D, it is essential to have O Level Physics Tutor already. If your child is already facing problems at Sec 3 Exams which cover less topics, imagine what would it be when your child faces a Sec 4 Exam. This again goes back to the same issue of being too late for O Level Physics Tutor. 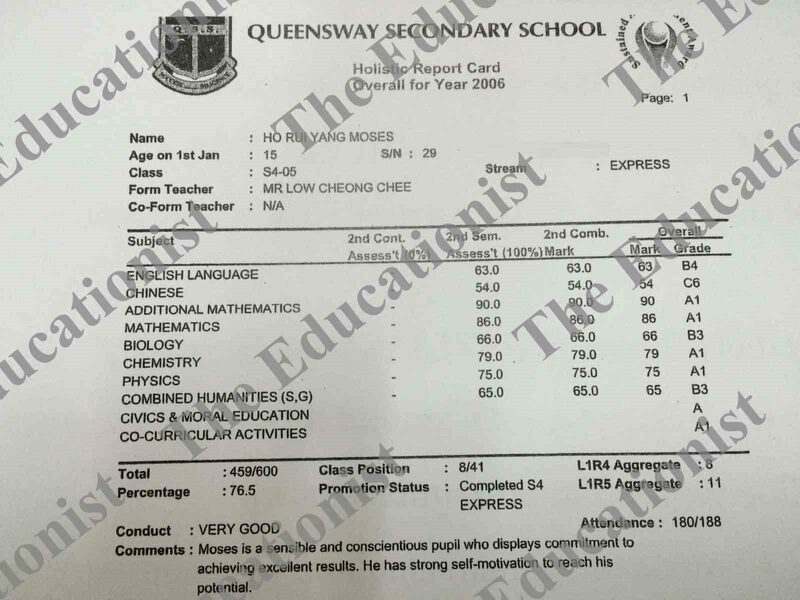 If your child is scoring F9 at Sec 4 Mid Year, just 6 MONTHS before O Level Exam, how likely is any O Level Physics Tutor going to pull his grades up? But imagine 18 months, when he joined a O Level Physics Tutor. 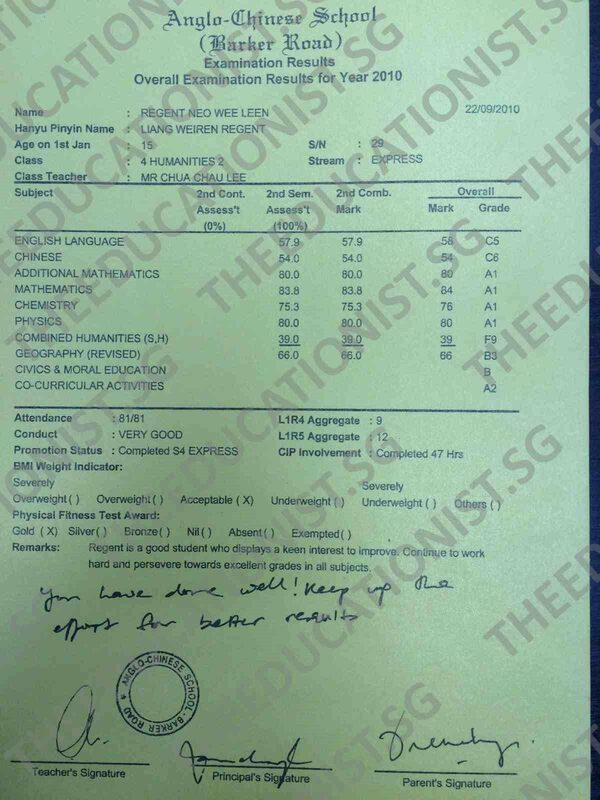 With 18 months, he not only has his grades pulled up from F9 to A1, he could even be TOP TEN IN SINGAPORE for Physics. The key lies in having built a strong foundation, and not so much about mindless grinding at an O Level Physics Tutor. I know you would have heard of “better late than never”. Sad to say, sometimes, late is never. If you are only going to join O Level Physics Tutor at 6 months before O Level, or worse, 3 months before O Level, after the Prelim Exams, I am afraid to say that there is only so much hope to save your child. I know this sounds crude, but this is as harsh as it is. Many child would have already seek help earlier, and these students would have an edge over your child. O Level is a national exam and it is based on a bell curve. I do not need to go on about the grades. And even though I make it seem crude here, it is really to show the importance of O Level Physics Tutor. You have the ability to make the change TODAY. There is no need to wait for failing grades towards O Level before signing up O Level Physics Tutor. Sign up now for O Level Physics Tutor. Remember, prevention is cure. And let’s say, it is really really too late that you come across this article, and you regret, the good news is that you are still in luck today. The Educationist is one such tutor who offers good O Level Physics Tutor. 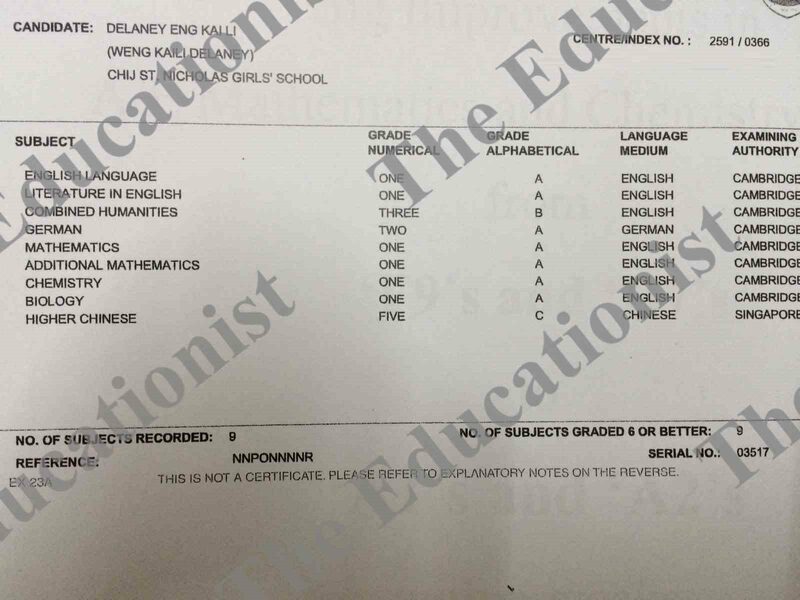 He has transformed the grades of a student from F9 to A1 by O Level, in just 3 months! He is the ONE O Level Physics Tutor that can produce grades effectively. And have you ever heard of a tuition that guarantees results? Here is one. The Educationist! Sign up for O Level Physics Tutor, and he guarantees that your child will be getting A1 for Physics. No more failing grades, no more substandard. Just distinction. And the best part… The Educationist offers FREE TRIAL LESSON for O Level Physics Tutor and O Level Physics Tutor. He even forces parents to sit in for his FREE TRIAL to appreciate his outstanding teaching performance.